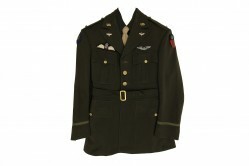 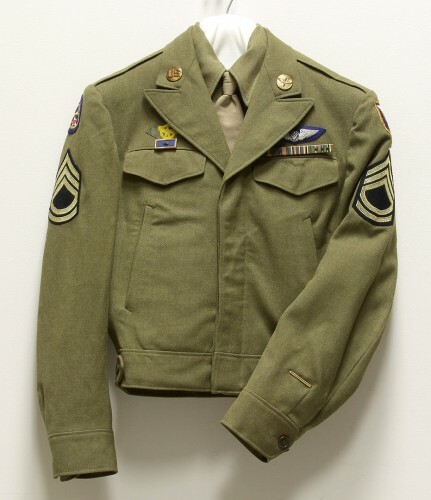 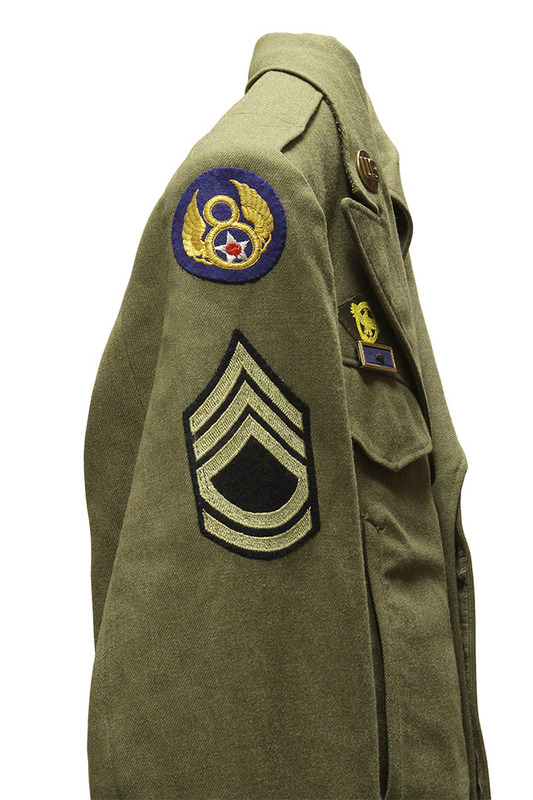 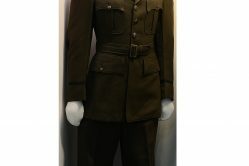 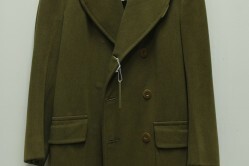 His wool olive drab Ike jacket has corduroy-lined slash pockets, technical sergeant rank, and Fourth and Eighth Air Force shoulder patches. 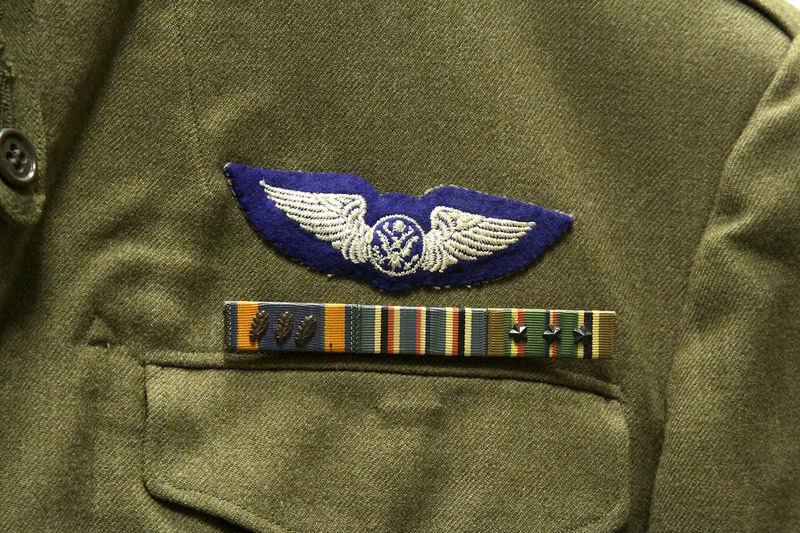 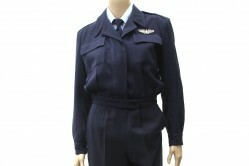 His aircrew member aviation badge is embroidered in white on blue felt. 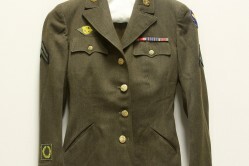 There is one metal overseas service bar on the lower left sleeve.